And, even though the specific breeds varied – Chris' dad, Lynn, raises Charolais and Chris raises Simmental – the end goal remains the same. 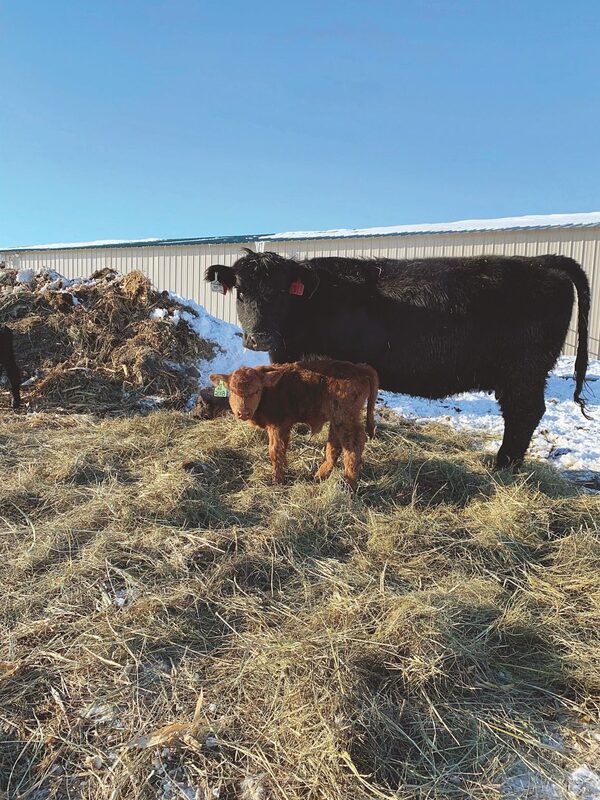 "Our family has always tried to stay away from smaller, more moderate type cattle because we've always believed that pounds sell. And, with a good frame, you are going to get more pounds of muscle." When selecting genetics to fill the needs of his customers, Chris reviews each individual cow. 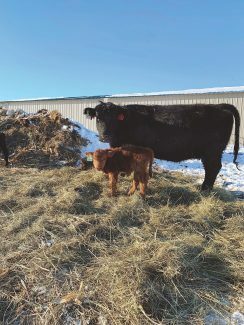 "We look at records and then visually inspect each cow and figure out what she is missing and then match her with a sire that will fix whatever she is missing," explains, Ryland Nelson, Chris' step-son. Ryland has been working for Chris since 2011, when he left a job coaching hockey in Montana to help out during calving while his mom, Ronalee, was undergoing treatment for breast cancer. "My intentions were to go back to Montana. I thought I was just coming out to help for a few months and it turned into me finding my calling. I've been working for Chris ever since." Chris understands what Ryland means when he describes farming as a calling. Chris always knew farming was the career for him. However, it wasn't until his Grandma Carolyn was ready to sell the farm where she and her late husband, Dale, raised Chris' dad and his siblings, that Chris had the opportunity to farm full-time. "It didn't happen right away. We started out with some leased ground," Chris says. "When we had a place to move back to that was ours, that was the determining factor." Before he and Ronalee bought the Johnsen family farm, Chris commuted between Wessington and Duluth, Minn., where he and Ronalee were raising their family and she had built a thriving financial services business. When they moved to the family farm in 2006, Ronalee, an independent financial consultant, became the commuting professional of the family. Today, she has offices in Miller and Aberdeen and travels to Duluth to serve customers. "You can't move the family farm. And, I think raising our kids on the farm is something we both wanted," says Ronalee. "Farming is a tough lifestyle, but I always knew it was the lifestyle we wanted to raise our kids in because it teaches them responsibility and values," Chris says. "And, looking to the future, we always wanted our kids to be part of the cattle business." Chris reflects on the fact that Ryland has purchased some of his own farmground and continues to build his own herd. 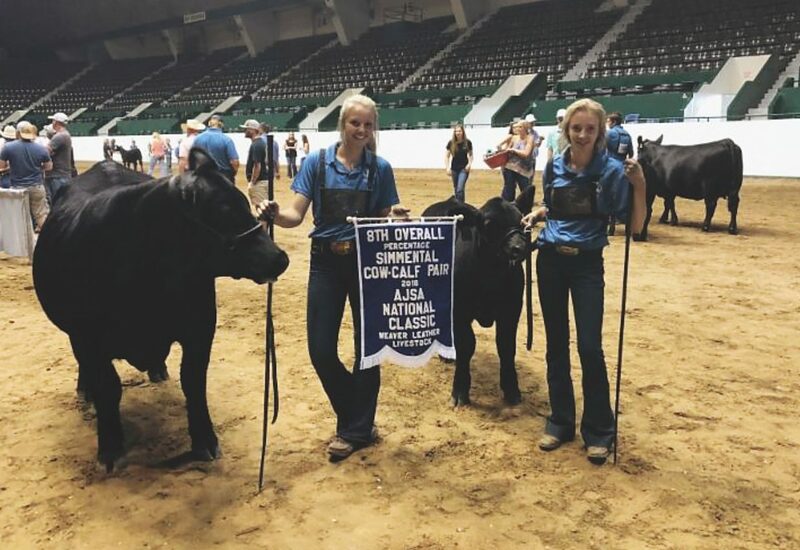 "There is a lot of sense of pride that Ryland has taken some of what he has learned here and some of his own beliefs and is starting to put them into ag lifestyle of his own too," Chris says. And, Ronalee was familiar with the Wessington community. "My mom was from Wessington, so I used to come back here to visit grandparents and relatives. That's how I met Chris," she says. 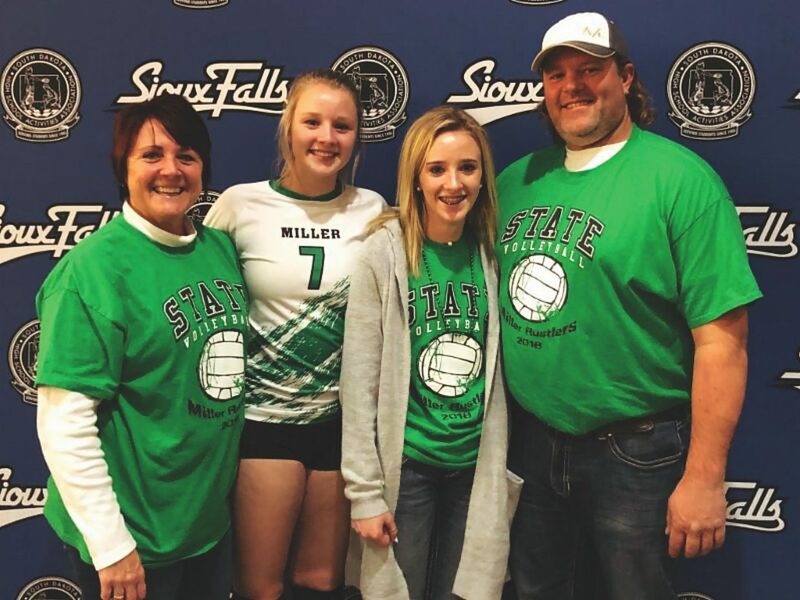 Chris and Ronalee's blended family include their oldest daughter, Rikki Kolquist, her husband, Kenny, and their children, Berkley and Boston; Ryland and his daughter, Kenna; Storm, 16, and Sydney, 14. Showing has always been part of the farming lifestyle Chris values and wanted to share with his children. "I started showing in 4-H when I was about 14. It was a great way to meet people. To this day, a lot of my close friends are people I met through showing," Chris says. Each year, the Johnsen family travels to about 30 livestock shows. Like their dad, Storm and Sydney enjoy the social aspect of showing cattle. "It's fun to compete, but in the end, what I enjoy most is to be with my show friends and spend time with my family at shows," explains Storm, a sophomore at Miller High School. "Showing brings me closer to my family. It's a shared interest and we help each other out." Of the two, Storm says her younger sister is better at clipping. So, during shows, she does more of the washing while her sister does more of the clipping. "It's cool to be able to help my older sister, who I look up to, do something," Sydney says. Balancing show schedules with homework and athletic practices keeps the sisters busy. Ronalee says the entire experience helps their daughters develop valuable life skills. "For me, the biggest thing they learn from showing is responsibly. You don't just show up at the show ring and show a calf. There is a lot of leg work that goes into it – the washing, the feeding, the lead practicing and all the chores at home." This work pays off. 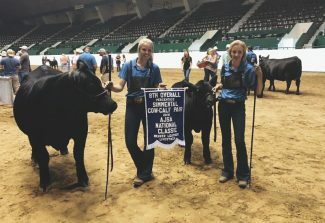 Johnsen cattle perform well, bringing home many honors and awards including: Grand Champion Pen of Three at the National Western Livestock Show; Calf Division Champion at American Royal, eighth cow/calf pair at the National American Simmental Show and Supreme Row Grand Champion Bull at the Watertown Winter Farm Show. In addition to their purebred herd, the Johnsens also raise commercial cow/calf and cooperative herds. Three herds mean the family is calving nearly year-round from mid- January through November – taking a short break over December. You would think that they would be tired of calving, but Ryland says this is not the case. "It's an exciting time. We have been waiting nine months to see the result of the new embryos or matings," he explains. "Calving is essentially result time." Chris says the commercial herd strengthens the purebred portion of the business. "We background and typically sell about a 900- pound animal. It gives us a chance to see how well they feed and how productive they can be. We get to see if what we are working toward for the frame and the genetic profile is working." To see more photos of the Johnsen family, visit http://www.sdfu.org and click on the Celebrate Farm Family icon.